Carl Milles´ prototype from which this flowerpot is derived dates back to the 1920s. The original urns were made in terracotta and are now placed on the terraces of Millesgården. 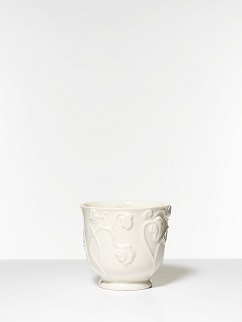 This small flowerpot of glazed porcelain is a copy of these urns. Manufactured by Gustavsberg, Sweden.